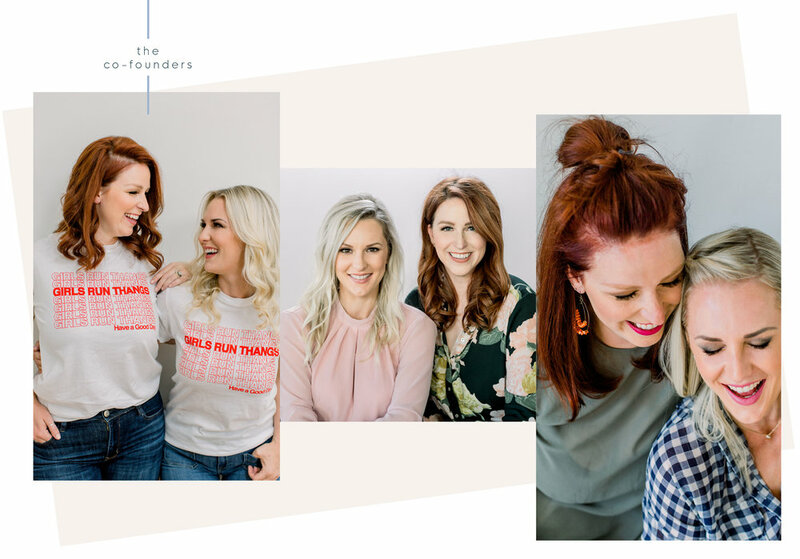 Rebecca + Molly are two get sh*t done kind of girls - and we could all use a few more gals like that in our corner, right?? The universe brought them together 4 years ago at a conference and they have been collaborating ever since. As recovering workshop junkies, they felt unfulfilled reflecting on workshops and courses past. There was either a lot of inspiration with no action plan, or there was so much strategy that it ended in overwhelm. In 2017, over a glass or two of wine, they decided that they wanted to create retreats, resources and community for those needing actionable steps, strategy and visual branding to up-level their business in personalized way! Mix that with having a magical girls weekend in a luxury destination — Brand Camp was born!